Dumbass Communitizin': Suzie81 Speaks Needs Answers; I Got 'Em! In a former life I was a Radio Guy - an honest-to-goodness real life on-air broadcast personality. I bring this up because, believe it or not, it correlates directly to blogging. I realize that right now you are probably saying, "Fearless Leader, put down the crack pipe and back slowly away!" To which I respond, "Wait just a cotton-pickin' minute, Dumbass!" Back in my Radio Days I interacted with people on the request line, at remote broadcasts, concerts and stuff like that. 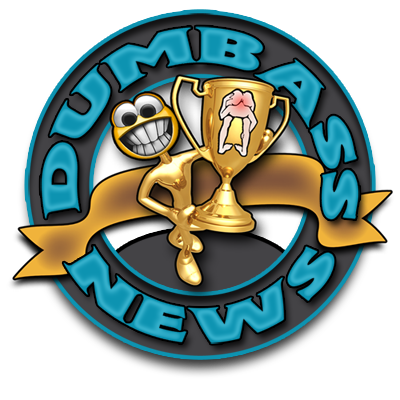 Here on Dumbass News I stay in touch with The Dumbass Horde by way of the blog comment section, social media and email. One time I had a deal where readers emailed/Facebooked me some questions and I responded to them in this blog post. Enter Suzie, a UK-anian blogger. On her blog Suzie81 Speaks , Suzie has invited bloggers from around the world to participate in a Q & A segment as a way for her readers to learn a little bit about each blogger and discover new, interesting content from all over the place. 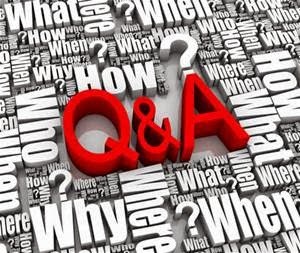 This Q & A is also a great tool for bloggers to not only share a little bit about themselves with new eyeballs, it is a tremendous way to create a sense of community among those of us who put digital pen to digital paper. Q. How did you create the title for your blog? A. A Midsummer Night's Dream was already taken by some English Guy. Q. What's the one bit of blogging advice you would give to new bloggers? A. Simply write. A lot. You don't have to be Stephen King to be a successful blogger. Many of the most popular bloggers are not necessarily the best "writers". Find your voice and stick with it. Readers appreciate consistency and, above all, honesty. Keep in mind that someone reading your blog can spot a phony a mile away. Q. What is the strangest experience you've ever had? A. A drunken weekend with the Rabinowitz twins. Q. What is the best thing anybody's ever said to you? A. This is a toughy. One time before I got married to Mrs. Fearless Leader, her daughter (now MY little girl too)came up to me while I was washing dishes and asked, "Toby? Would you be my Daddy?" It's pretty hard to top that. Q. When presented a time machine were a "B" movie, what would it be called? A. "Animal House: A Drunken Weekend with the Rabinowitz Twins". Thanks, Suzie, for inviting me to be a part of this exercise in communitizin'! All you bloggers get out there and kick some hiney while I wonder whatever happened to the Rabinowitz twins. We'd love to hear the Rabinowtz Twins side of the story!